This is my second-to-last look from Nantucket :( (you can see the full recap here). I wore this the first night for dinner at Galley Beach, which was one of my big checklist items for this trip because last year we tried making a reservation too late. Galley Beach is one of the fancier restaurants on the island and after going there I can see why. It was pristine, the staff was on their A-game and the food was very well made. I got the steak, go figure. Presidents and celebrities have been going to Galley Beach for so many years so I had to try my shot this trip and see what all the hype was about. What they're really known for are their sunsets. Sadly enough we weren't able to catch one this time because of the fog but that just means we'll have to come back next year! 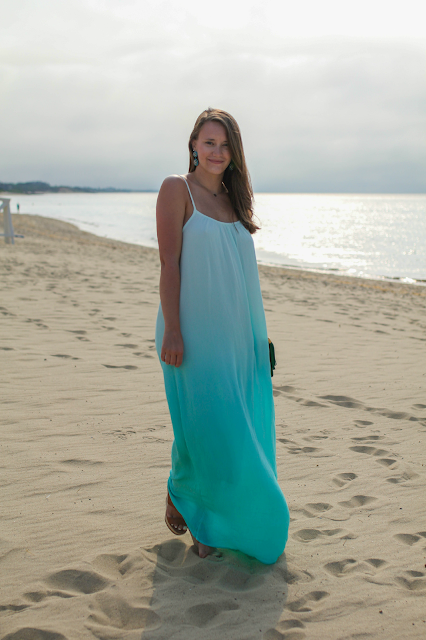 I thought this ombre maxi was the perfect item for dinner on the beach. It was easy, comfortable, lightweight but still very elegant and classy. I paired it with my new earrings and we had ourselves an outfit! I also don't think I wore makeup once on the trip. Isn't the whole point of being on vacation leaving stuff like that at home? Such a beautiful, summer time dress. How are you so gorgous sans makeup?! It's just not even fair! Love the colors of that maxi! So jealous you can go without makeup completely! Have you noticed a change in your skin since you stopped wearing it very much? You look so pretty! I love the colors of that dress! Gorgeous dress. 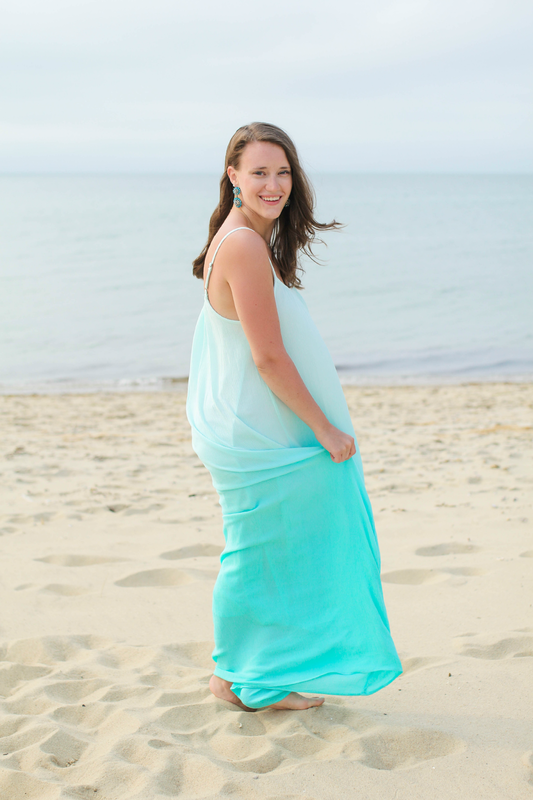 That color looks beautiful on you, and it really is the perfect outfit for the beach! Beautifully lightweight dress! So perfect for the beach!